The Pure Water Solution had a basic site built in WordPress. It needed polish, content, and an overall strategy that aligned with the company’s vision. This responsive web design is updated frequently with our local seo service. 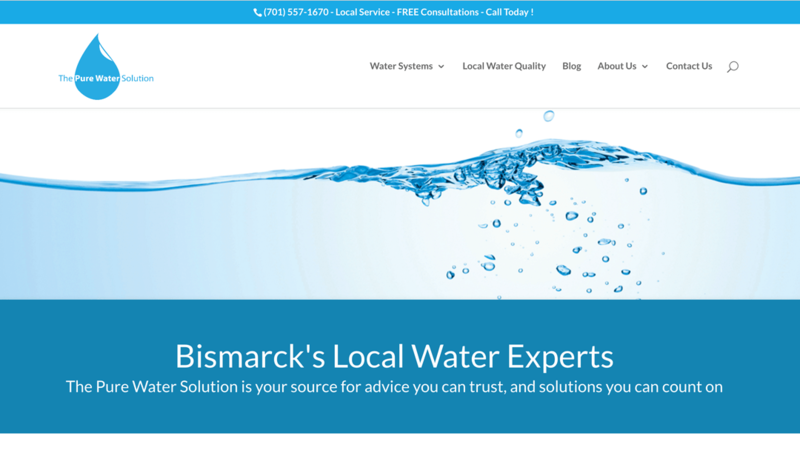 They have gone from being virtually “unfindable”, to a prominent website for Bismarck, ND water softeners and filters.